Classes - STRATFORD DOG AGILITY INC.
Watch this video clip to see the skills you need to pass the assessment test. Waiting for the next assessment day? We recommend you sign up for our Focus on Fun Dog Training © online course. You will soon be up to speed and have a great foundation in place so that you can go on and really enjoy training agility. We are not looking for perfect in all areas, but the first five skills are essential to have at a very good standard for the safety of other dogs and to ensure your experience is enjoyable. View the video on the left to see what we are looking for. While waiting for the next assessment day, you need to train the foundation skills you will require. Our. Focus On Fun On-Line Course will give you all the skills you need and more. You can be up and running in five short weeks. Go to the On Line Course" tab for details. Assessment Days - The date of our next assessment day is dependant on registered interest and instructor availability. 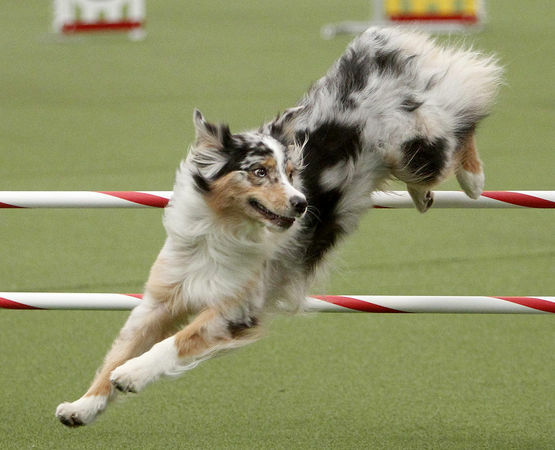 If you would like to begin agility, please email us and request to be informed of the next assessment day. What happens once you have passed the assessment test? ​You now need become a Member of SDA and then enrol in the module most suited to your skill level. There are 3 Modules offered in total, each progressively building on skills learnt earlier. Each Module has a set course fee, if at the completion of any module you have not attained the necessary skills to graduate, then you will have to repeat the module and pay the course fee again. Once you have successfully gained all the skills in Modules 1, 2 & 3, you then join the Open ​Class (Module 4) which runs year round. Each Module runs for a set period of time, due to limited instructors, if at any time you miss a class, the lesson conducted that week will NOT be repeated. 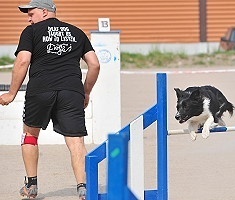 Our Instructors are volunteering their time to teach you Agility and as they are constantly practicing and training with their own dogs, the time given is finite. 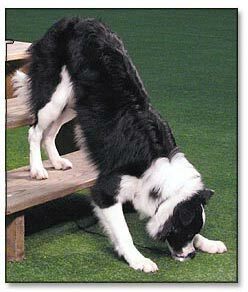 Agility is a sport that takes commitment and a lot of home training. Value for the hoop and broad. Plus able to negotiated the broad from various approaches. Mini Course (up to 10 Obstacles) Handling 1 side only. The emphasis is on reinforcement, using either food or toys, causing the dog to want to do each piece of equipment with enthusiasm. The next step once Module 1 has been successfully completed. This Module builds on Module 2. Larger sequences are introduced and more handling techniques are taught. As a group we study Running courses Walking courses Ascertaining the best line for the dog & thinking through all the handling options. Seeing the course from the dogs perspective Shortest distance versus what would create a faster/easier line for the dog. The format for the morning's training session is decided by the people participating.